The mullet are running and two creatures at the top of the food chain are responding – sharks and humans. 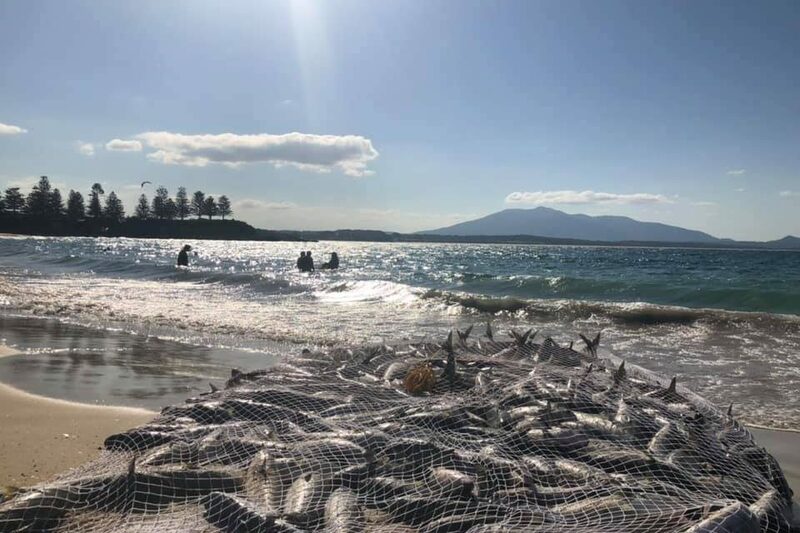 Sightseers at Bermagui this week were blown away by the spectacle of an Aboriginal fisherman hauling a massive catch of mullet and salmon ashore at Horseshoe Bay. To understand the significance of the event, Region Media approached local fisherman Rocky Lagana from Bermagui Fishermans Co-Op. 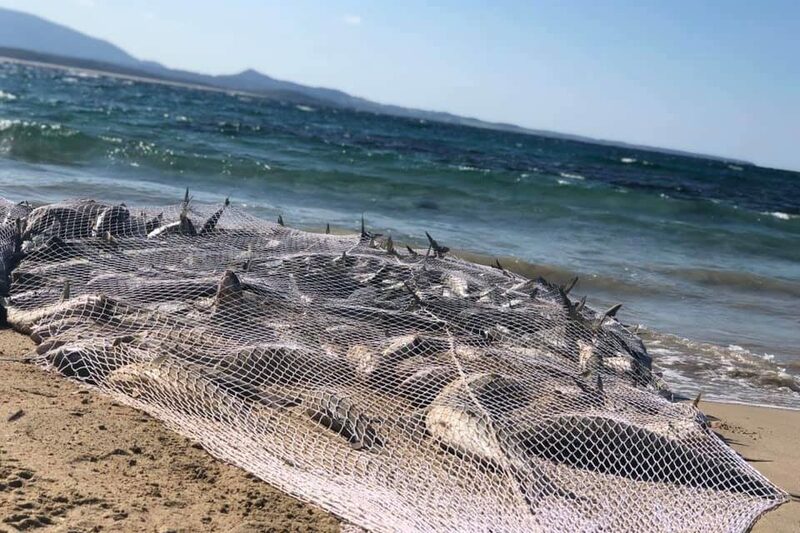 “In the early Autumn, they [mullet] run north, they come out of all the lakes and rivers along the coast,” Rocky said. It’s a pastime that dates back decades for the region’s fishermen. “They have a licence to operate between Bawley Point and the border,” Rocky says. The catch is not so much for the fish meat but for the eggs/roe inside. Rocky estimates the haul, captured in visual form by About Regional friend Debbie Osiecki, weighed about six tonnes. 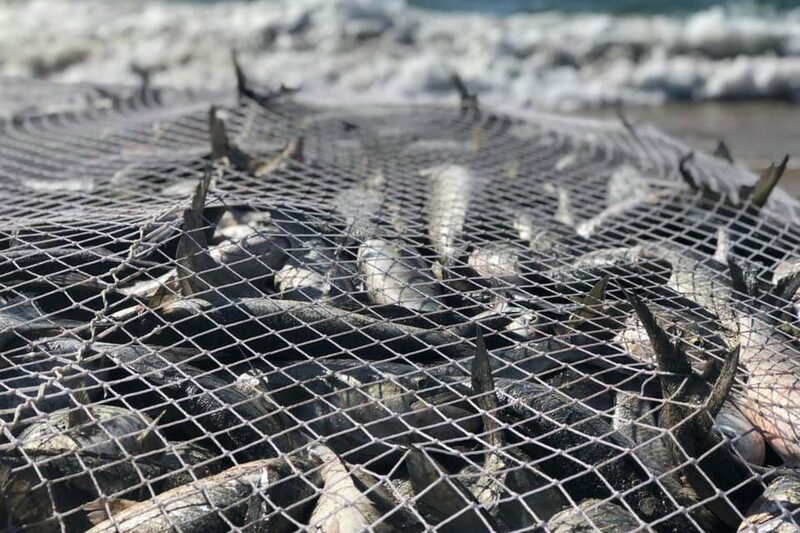 He says the run is expected to last about a month and those chasing the mullet have been getting bigger catches along the coast. The human interest in the mullet run is perhaps only matched by that of local sharks, mostly Bronze Whalers Rocky says, a species that has been seen in increasing numbers of late. Like most creatures in the food chain, there is always something bigger, a fact witnessed by those chasing the Bronze Whalers. There is always a bigger fish! Photo: Trapman Bermagui Facebook. 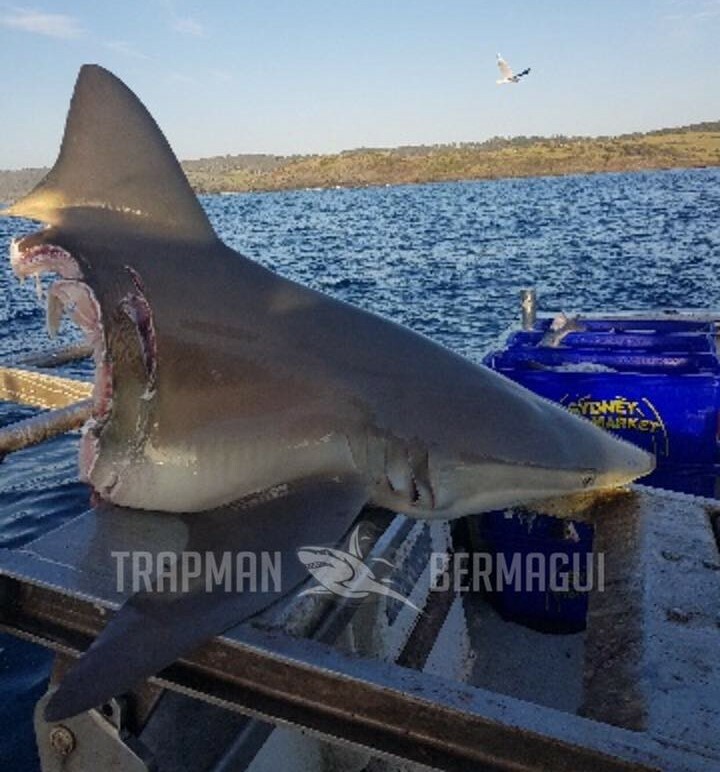 This week fishing for shark off Murrah Beach between Bermagui and Tathra, Trapman was reeling in a Bronze Whaler when an opportunistic bigger fish decided to take some of the prize. The second time it’s happened in as many weeks. “One of the bigger sharks we got was mauled to the back of the head. The shark would’ve been at least 100kg,” Trapman says on Facebook. 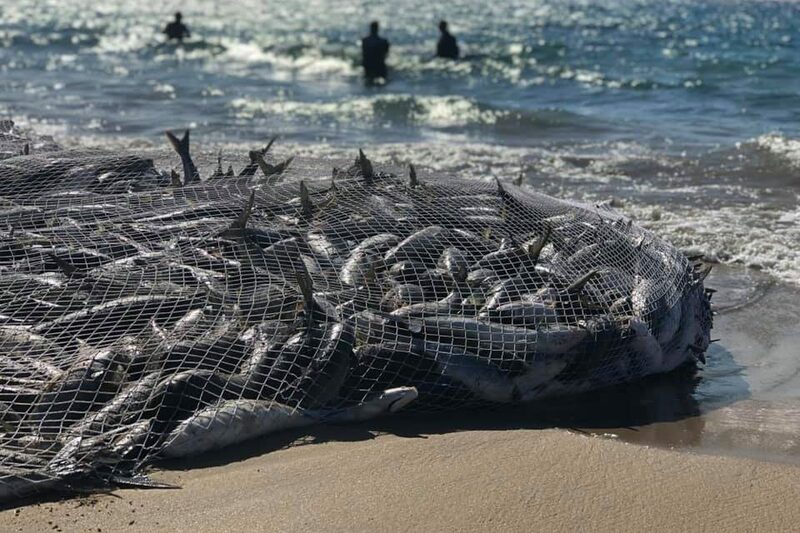 “We salvaged what meat we could off what was left of the shark. 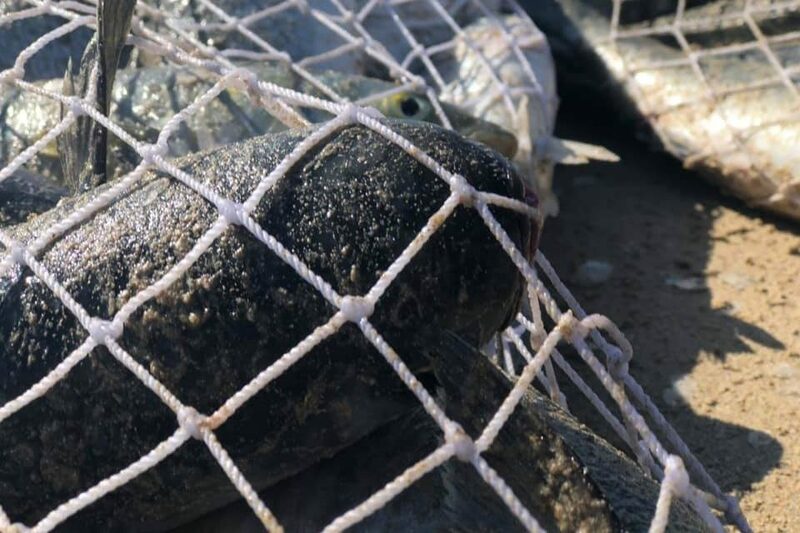 When Region Media asked Rocky Lagana what sort of shark could take a bite that big, the longtime fisherman shivered. “It wouldn’t be Bronzies – it’s a worry, they are big, clean bites,” he says. 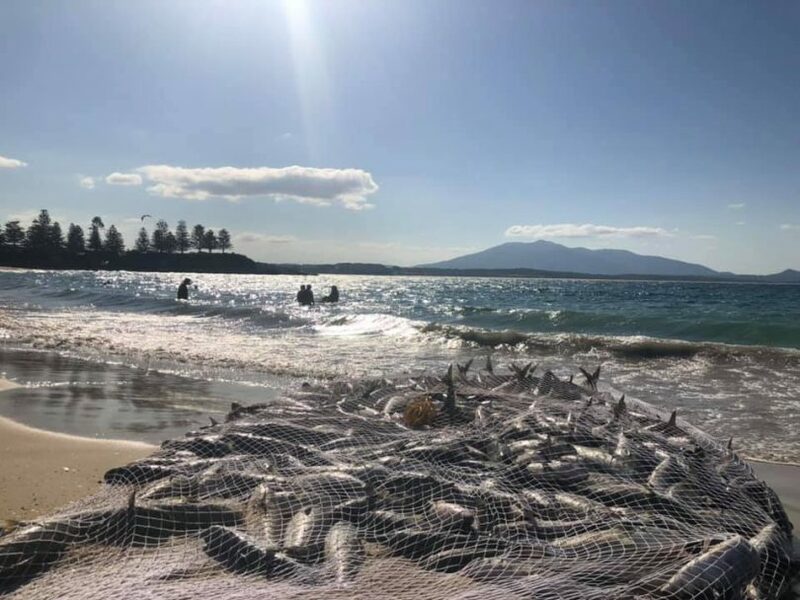 Region Media has left a message with the Aboriginal fisherman involved in the Bermagui mullet catch and hopes to cover their culture and perspective soon. Yes, yes we should be. Caroline Loffler hope you got your fish for dinner tonight! Nikki Cooper quick, get down to the coast - the odds are in your favour! John Renwick how’s the fishing and sharks in Tathra?